Happy Thursday!! I hope everyone has gotten a good dose of spring this week, and had their fill of spring projects!! I think my hometown skipped spring and decided to flip flop between summer (slept with the fan on and turned the heat off! Yay!) and back to winter again (turned the heat back on the next day, and covered up my plants again! Boo). I can't believe we're at Idea Box's twelfth week! Each week has been a good egg--all one dozen of them. (see what I did there?) I'm having so much fun seeing what you've all been up to and getting the chance to meet new bloggers. 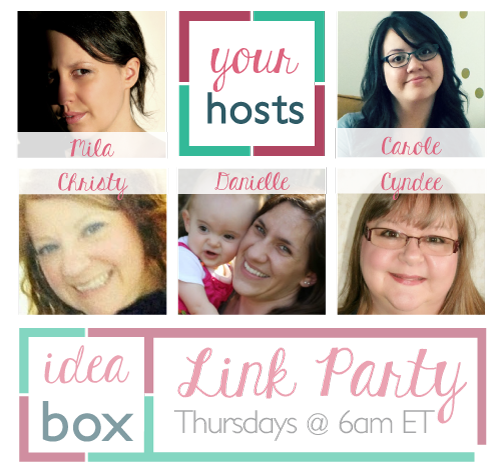 Idea Box is a new weekly link party for bloggers to share all of their creative posts---recipes, home decor, DIY projects, gardening tips, good advice... Whatever your creative heart desires. For the first little while, Idea Box will be open from Thursday - Tuesday to give you all plenty of time to link up and tell all your friends. Make sure you check out the hostess' blogs to see what we've been up to! With the season on the cusp of summer, I am itching to entertain. How delish do these oreo s'mores look? I can't believe I have never tried this, lover as I am of marshmallows and oreos. In my world, this is not just a kid party food, it is a crowd pleaser. Check out the full post here to get the recipe for yourself. I have been in full blown declutter mode over the last few weeks, and find it hard to be tough love with a lot of things. As an example, many of my Christmas gifts have been sitting in a box untouched. Not that I mean to be ungrateful, just...well, to quote the post: "It just means that the gift, while intended for me, does not appeal to me or benefit my life, which is what a gift is supposed to do." Read the full post for more helpful insight into unwanted gifts and what to do with them. Clearly, I can't resist a good ol' gnome post. 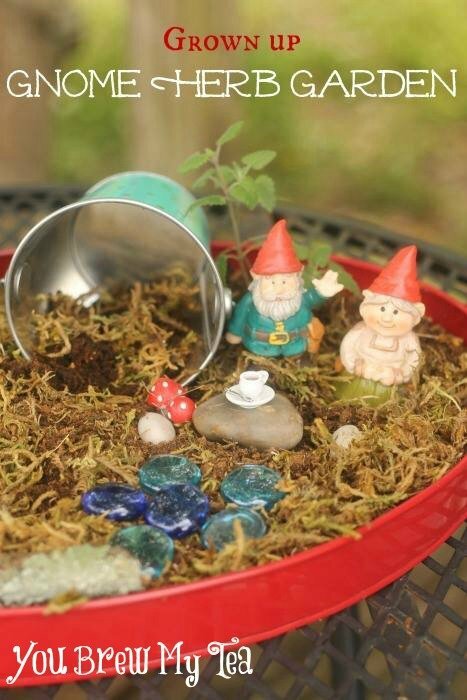 I love this gnome garden!! The shallow tray is absolutely adorable and a very smart choice, and I just love that the garden is for herbs and not succulents or other strictly decorative plantings. Read the full post here for instructions on how to make your own.